Boris lozhkin - анализ твиттера lozhkin boris uschnews.com. Intensity! That one word comes to mind when talking about the Dave Strasser’s “Freestyle Combat Challenge.” He has been able to consistantly put together matches between fighters that are agressive and hungry for a win. March 23rd’s show lived up to that word and more. 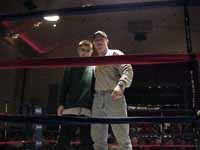 With a standing room only crowd of over 500, the first fighters made their way to the ring. Drinking in the enthusiasm of the crowd, the combatants were lifted to a new height of readiness. The anticipation for that first bell grew with each passing second. 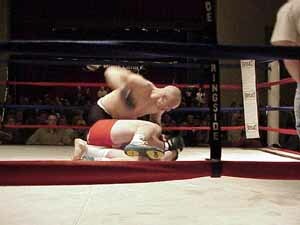 The first fight was a forty three second collision between Ron Faircloth, Madison, WI and Robert Duffy, Oak Creek, WI. Faircloth bore into Duffy like a runaway freight train. Duffy was stunned by the deluge of strikes from Faircloth and was helpless when Ron took him down. A few more strikes was all it took to finish off Duffy. The fight between 48 year old, Jeff Gummringer, Fargo, ND, and Scott Malicott, Roscoe, IL, was a three round grueling war that had Malicott fighting and up hill battle. Gummringer started the first round getting the advantage on Malicott a maintaining it through out. It was only Malicott determined defense that kept Gummringer from taking the fight to a submission in the first round. The second round showed a little more even with Malicott achieving half mount and scoring with strikes. Gummringer was eventually able to reverse and do a little damage of his own. Almost all of the third round went to Gummringer but Malicott continually fought off any submission hold. Malicott was unable to get much going in the third resulting in Gummringer getting the decision. Once again, explosive action brought the third fight to conclusion in just 26 seconds. Paul Compton, Racine, WI, punched his way to victory over Josh Stamp, Cedar Falls, WI. Although Aaron Raftery, Antioch, IL, dominated most of the fight against Dan Hart, Roscoe, IL, Hart was impressive. For three grueling rounds Hart showed he had the heart of a lion. Absorbing an enormous amount of strikes, Hart would then come back and stun the crowd with superior judo throws and enormous strength that had Raftery flying through the air. Raftery’s relentless attack kept Hart at a disadvantage. Hart, not able to put enough together to achieve superiority, finally succumbed in the third round from knees to the head. The fifth fight pitted two lightweights, Chris Nelson, Fargo, ND, and Mustafa Hussain, Chicago, IL, in a wild punching match. Nelson was able to stun Hussain early but it only seemed to wake Hussain up. From that point forward, Hussain constantly rained strikes with out stopping. Nelson had good submission attempts but didn’t protect against the constant striking on Hussain. The constant onslaught of punches proved to be too much for Nelson and forced him to tap. Justin Weiman’s, Roscoe, IL, strength and flexibility showed to be the deciding factor in his win over Dion DiCello, Kenosha, WI. Weiman was able to lock in a triangle choke for the win. Jason Allar’s, Waukesha, WI, hard head didn’t help him this time against Soloman Hutchenson, Racine, WI. Allar’s reputation of being able to absorb any and all punches showed in this fight. Hutchenson’s constant strikes seemed to be ineffectual but there was a method to his madness. After over three minutes of constant punching, Hutchenson paused and reversed position to get Allar’s back. It was only a matter of seconds before he had Allar in a rear choke that forced him to tap. The superheavy weight fight between Ben Rothwell, Kenosha, WI and Mike Priest, Mukwonago, WI, was short lived. After a short clash in the center of the ring, Priest was force to tap when stomach muscle cramps hampered his ability to fight. The shortest fight of the night had Nick Agallar, Racine, WI, exploding out of his corner to continually piston punch Mike Blegin, Cedar Falls, WI, driving him to the mat and the tap. The entire fight lasted 17 seconds. The last fight of the evening was a lesson in quiet patience. The Lightweight Championship ended in decision after three grueling rounds. Ryan Ackerman, Mukwonago, WI, was the agressor throughout the fight. Sam Wells, Lansing, MI, was able to virtually negate all of Ackerman’s offense. Quietly waiting to Ackerman to make a mistake, Wells was able to almost knockout Ackerman in the second round. Wells was able to lock in good submissions only to be thwarted by Ackerman’s strength, allowing him to power out. It was Wells that impressed the judges enough to get the decision. While a large part of the crowd seemed to feel that Ackerman had won because of his agression those that were better informed understood the decision and agreed that Wells had won.About half way through the show, fighter Pat O’Malley was called to the ring along with his son Dallas. It seems that earlier that day, Dallas O’Malley won the state wrestling championship for his age and weight group. When asked if he was interested in mixed martial arts he said, “Yes, my dad is starting to teach me. It will be a while but I will eventually get in the ring.” The proud father, Pat O’Malley, is a well known mixed martial artist in the region has won at numerous events and is known for his explosive agression. Dave Strasser should be proud of what he put together. The show ran like clockwork. Glitches from past shows were rectified making for a excellent production. Dave’s next show will be September 28, 2002. You won’t want to miss it. We won’t!